When it comes to hiring a video production company to do corporate, marketing or personal events in Singapore, there are many factors to consider to get the best deal and make the event a success. For starters, video production is the process of creating video content which is similar to making movies but with a different agenda. For event video production, it is an art to capture the important or special events into a video and sometimes to relay the video to mass audiences via Live streaming that is broadcast in real time. 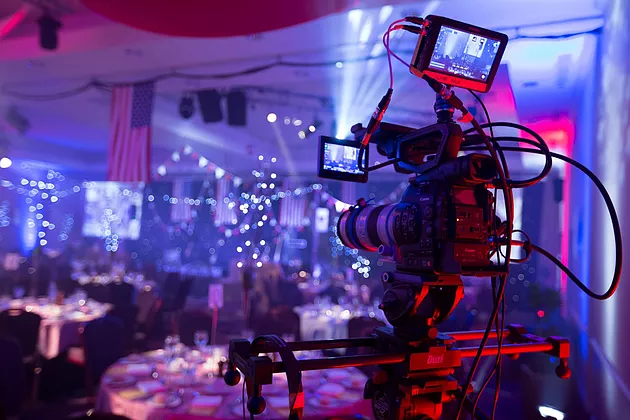 The recording of the events is usually done by a group of professional videographers and they will rely on several types of equipment such as HD cameras, camcorders and other related equipment to run the show. Depending on the requirements, the client will need to coordinate closely with the video production crew to make plans for the event and do several rehearsals to perfect the video production during the actual events. This will consume weeks or even months in order to get the best results when the actual event starts. Most of the clients are willing to spend the money to hire the video production company to create events whether for a memorable purpose like birthday or wedding events or to boost their branding via social media or for their website’s page ranking. This is not only common in Singapore but also a very popular concept to the rest of the world. When it comes to the cost factor, it will be useful to know the how the video production companies usually charge their clients but bear in mind that the information mentioned below only serve as a guideline as some of the video production companies may offer a standard package to cater for the event’s requirements. Experience videographer will normally charge their client between $150 – $250 an hour for the event but the client can pay lower to a fresh graduate or inexperience videographer around the range of $100 – $120 per hour. For corporate events, unless the client has their in-house marketer, they may need to pay extra to hire an experienced event marketer to assist their client to create a clear message of the corporate video and a basic understanding on how the video can improve their business branding. An experienced marketer will also assist to draft a marketing script to create a good storyboard to ensure the event is a great success. Depending on their video requirements, clients may need to pay an extra fee if they want their video to be partially or fully in graphics or animation and just for basic editing will easily cost the client $80-$180 per hour. Not to mention complex 3D graphics will easily be double that price. Other additional costs will include quality music and special sound effects to use for the video’s background that cost around $50 – $200 per soundtrack. The hiring of talented professionals to host in the video, another $50 to $500 per hour depending on the level of experience and the star appeal of the actor. Last but not least, the client will also need to consider another cost such as the rental of furniture, studio set, locations and even stage costumes for the actors. In short, the longer the video, the more client will need to pay. But as long as the client is satisfied with the end results and the price for the event video is within their budget. The client will be willing to invest in creating the event video production to boost their business reputation and sales in long run.